Lately, I’ve been reading Central Park in the Dark, by the same author (Marie Winn) who wrote Red Tails in Love. Her reports of a robust animal and insect world thriving right in midtown Manhattan are such a comfort to me. And they remind me that, with nature, there is always much more going on than what we notice at a casual glance. Take moths, for example. They have always loved my porch, but this year they are finding their way inside more, to the grow light that overhangs my modest crop of hydroponic tomatoes. 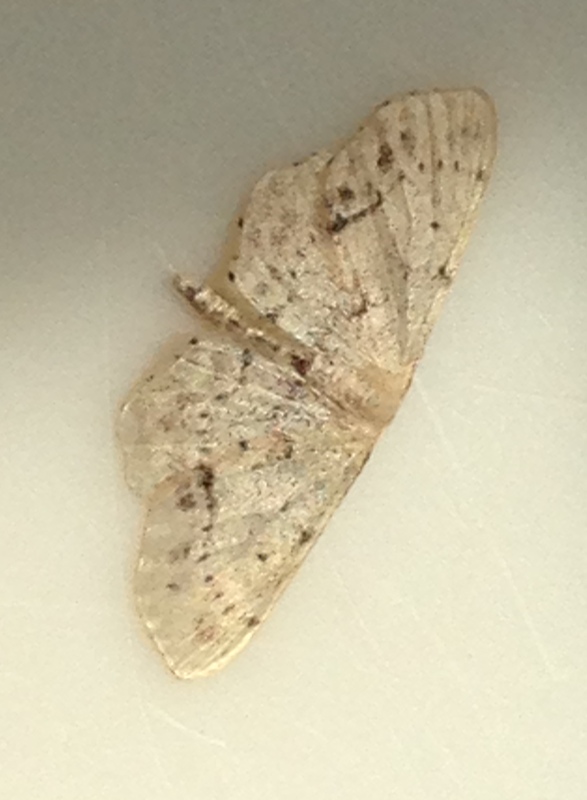 They flitter their way into the sink way too often—are they seeking hydration or just attracted to the water’s glimmer? In any case, I have made valiant, if not always successful, efforts to rescue them. The antique milk can on the porch has become a moth rehab facility–a place where they go to dry out. Bonus fact, which I learned after writing a poem about moths alighting on my arms: they crave the salt in our skin! We might not think as kindly of them if they found ways to extract it the way female mosquitoes, or ticks, access what they find to be our most alluring qualities. 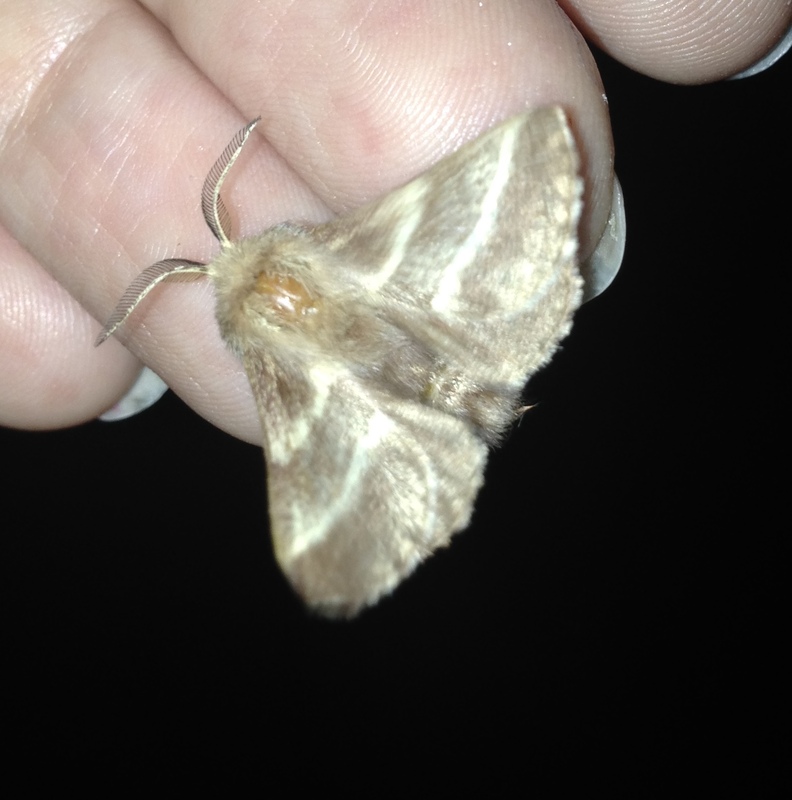 I was reminded, however, by the Central Park book that most moths’ lifespans amount to less than a few weeks. This greatly saddened Gavin, so I told him about something else that I had learned about: the idea of umwelt. A musty but lovely second-hand book I found, The View from the Oak (Judith and Herbert Kohl), talks about a term used by another nature writer “to describe the world around a living thing as that creature experiences it.” Imagine, for example being an ant, living your whole life in a particular corner of a field, pebbles like boulders to you and your vibratory sense your only means of communication. That experience, that way of living and perceiving, is your ant umwelt. I apply that same concept to time, too. The moth that lives its full few weeks is likely not comparing itself with humans and crying over its piteously short stay on the earth. We humans have our own time umwelt, so we don’t tend to bristle over the lifespans of Galapagos Giant Tortoises, who live for upwards of 100 years (or Ocean Quahogs, who can live for 400+!). Another umwelt I found myself wondering about was the perspective of the slug. Of course, I’ve seen slugs here and there throughout my life, but only on a recent jaunt at Fountain Hill did I notice groups of them sitting on mushroom caps. 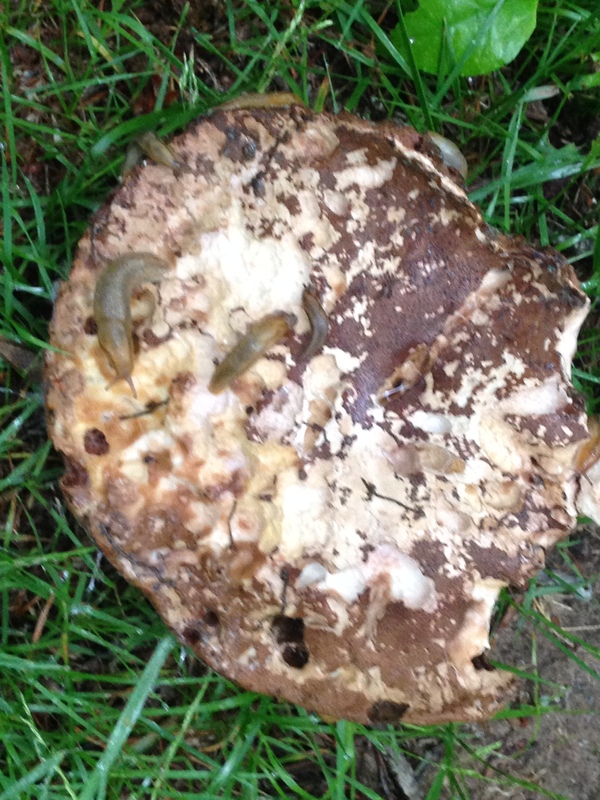 Can you see the 4 slugs feasting? How long did it take them to climb up there? Was it like summiting a high mountain peak? It made me wonder if slugs eat mushrooms, and the article I found from a 2010 issue of Fungi was called What We Don’t Know About Slugs and Mushrooms—the scientists seem pretty clear that slugs eat fungi but not so clear on specifics. One of the problems is that it’s the mushrooms, not the slugs, that are usually the subject of any the available photos that might prove slug fungus consumption, and most of the time photographers don’t want to photograph the slugs at all. It’s not just with most photographers that slugs get a bad rap—and I understand that they eat our garden greens—but I do think that if they were better looking they might be treated better. Hopefully in their own little slug umwelt they don’t realize how their slimy looks count against them. But if they do, Gavin reminded me that there is an Ugly Animals Preservation Society that they can turn to for support. July is such a rich, moist, spilling-over-with-abundance time in Connecticut. 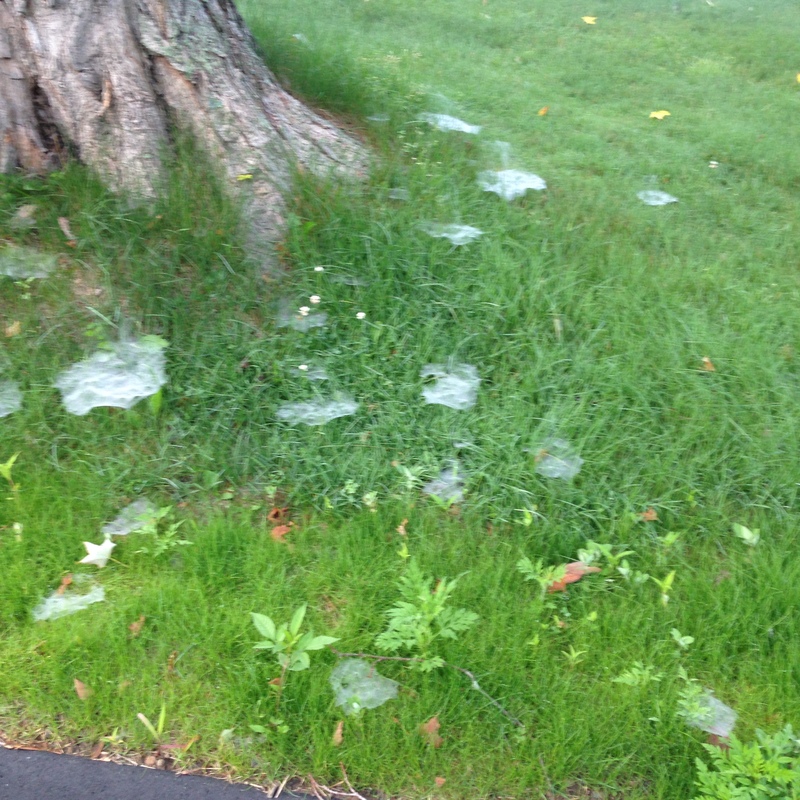 This morning I counted 13 rabbits on my walk down to Town Dock, and funnel webs from the grass spiders, highlighted by the dew, dotted nearly every lawn—an uncountable array of spider condo complexes. My own, personal umwelt is a happy one because of this. I learn so much from you! I’d never heard of umwelt before. Thanks, Linda. It is a new term for me, too. It’s a great shorthand for the experience/perspective of other creatures.